You are here: Home / Newsletter Archives / Specials / New! We Are Your St. Croix Superstore! All 825 Models In Stock! We have some really big news for all of you today. In our quest to become your one-stop shop for everything fishing rods, we have added some of the finest rods made: St. Croix. This is one of the most iconic brands in the industry, and there is a reason for that. They make one hell of a rod and give customer service worthy of your hard earned dollars. After visiting the factory, we were blown away by the personal customer service St. Croix gives to you, the customer As you know, we pride ourselves on giving the best service so it is very important to have a partner that feels the same way. Now, about he rods……we are talking about a company making rods right here in the USA, Park Falls, WI to be exact. Yes, they have a factory in Mexico, but the vast majority of their rods are assembled right here in the Midwest. And the rods are nothing short of EXTRAORDINARY. The attention to detail is amazing, and the feel is spectacular. These are some of the premier rods on the market. Do you want to treat yourself to a top of the line rod? The Legend X, Legend Elite, and Legend Extreme all fit the bill. Looking for more “Bang for your buck”? The Triumph, Bass X, and Mojo series will get the job done. With St. Croix, there is something for just about everyone. Unique Series? Actions? Tapers? Powers? Lengths? Pick what you want, and St. Croix probably makes it. They have developed 800+ models to suit what you need to put more fish in the boat. Here’s the bomb shell: WE STOCK EVERY. SINGLE. MODEL. 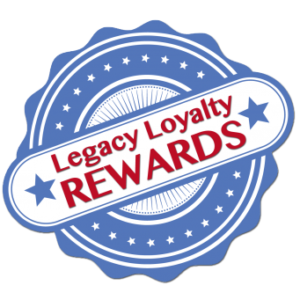 I’ll mention that one more time…..If St. Croix makes it, American Legacy carries it IN STOCK in Evansville, IN. We don’t just carry the popular series or popular models, we carry everything. If you want a hard to find specialty rod, look no further. We have you covered! We are the ONLY St. Croix dealer stocking every single rod. A true St. Croix Superstore! Want to try a St. Croix or add to the collection? 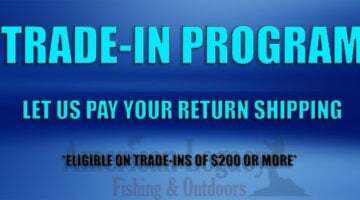 Make sure you take advantage of our trade-in program to get instant credit toward a new St. Croix rod. There’s even a limited time promotion (posted below). We are incredibly excited and hope you are too. If you have any questions about St. Croix, please feel free to call us at 877-402-6350 or email us as [email protected]. Browse All St. Croix Rods….